If your development team is reviewing frameworks to tackle a new project the business has a lot at stake. For instance, if a framework doesn’t work well with software already being used then the system won’t run as efficiently as it could. If a framework requires a lot of education before implementing then time and costs will stack before the project even gets off the ground. 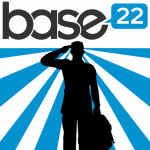 Take a look at the article on the Base22 site for some does and doesn’t related to framework selection. I really hope you find this information useful. This entry was posted in Base22, Development, Framework, Pattern, Web Development by joaquin.arellano. Bookmark the permalink.